I started modacarta as part of the course work at the University of Toronto. I am pursuing a certificate in Digital Marketing Strategy. I knew I wanted to blog about fashion but the challenge was how to differentiate my blog from the thousands of other fashion blogs. Inspiration came to me in the usual place, the subway. I love fashion and I love working with paper. 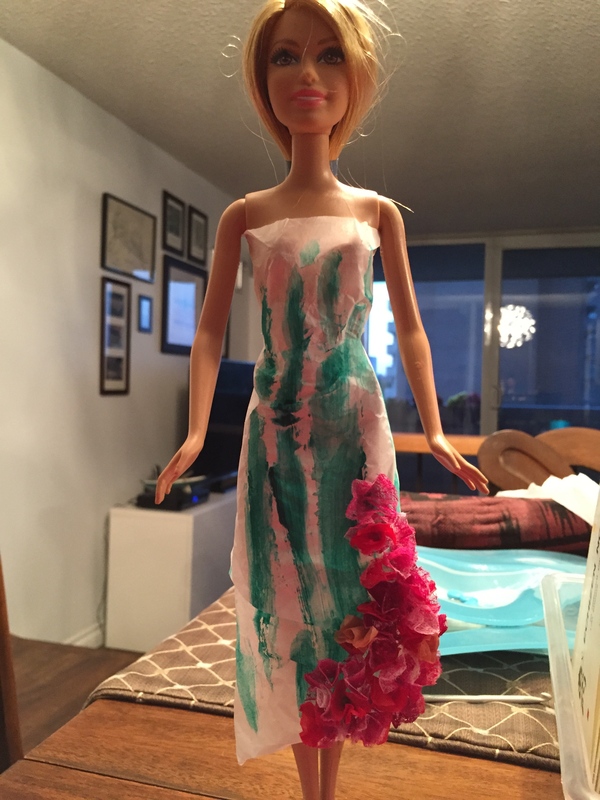 I decided to focus on fashion design and trends and then produce them in paper for a doll to illustrate them. I could then also incorporate my other passion into the blog – photography! Idea done and doll purchased! Getting started was bumpy with some amateur-hour photo shoots but I got my groove on and gained some followers. At my day job, we partnered with our client for a major presentation to senior leaders about our processes. I took on the task of designing and producing the presentation (a ton of work!) and it was greatly appreciated and a huge success. My client showed this appreciation and admiration for my emerging blog by gifting me with 2 more dolls. Part of the learning process for me was establishing the editorial calendar for posts and then throwing it out the window when something new was trending. There would be times, and there still are, where I have no ideas for future posts and then, like magic, something comes up!! Seasonal trends make up the bulk of the content as well as industry profiles. I enjoy interviewing people or researching a designer or photographer’s work. When I interviewed Roxana from Beerox Brand, I showed her my blog and some of the doll photos and she told me you’re a designer! That was a huge compliment for me especially coming from a designer. I suppose it is true to a certain extent. 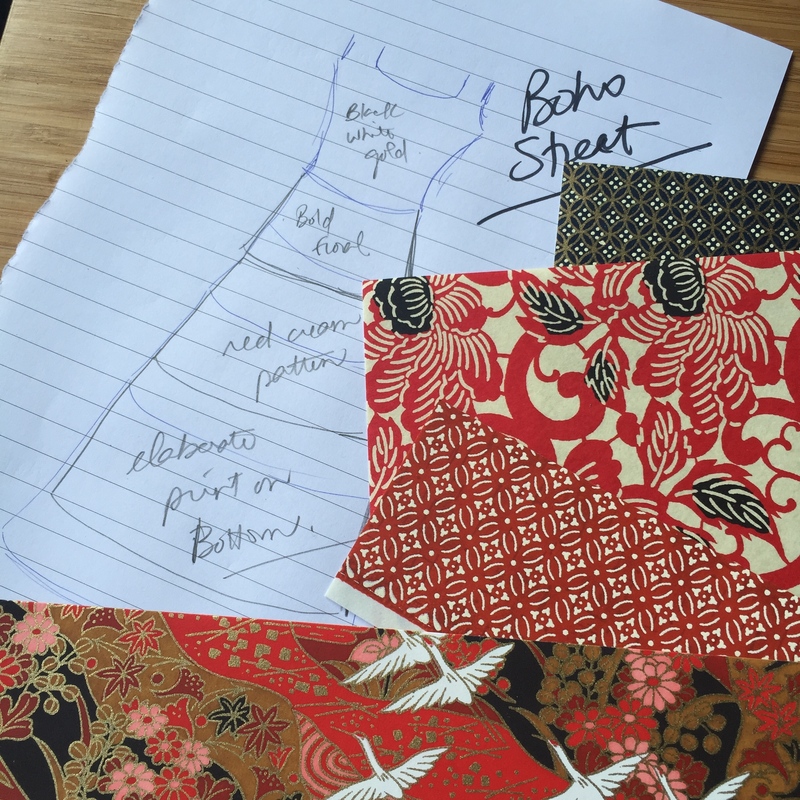 The paper clothes have to be designed in order to be produced and shot for the blog. It is sometimes challenging to fit them to the doll. My design inspo comes from research on the trend/topic, or sometimes the patterns of the paper will dictate the design. Traveling with the doll has been fun. I have been to New York and also outlet shopping in Michigan with the dolls. It adds a lot of fun to the blog and also makes great instagram posts. I hope you enjoyed this backstage view into modacarta and I always want to hear from you so please send a comment.